Recently it was blasting through the speakers as my wife and I, and our good friends Jayne and Tim, crested the Haast Pass on a ROOOOAD TRIIIIP! 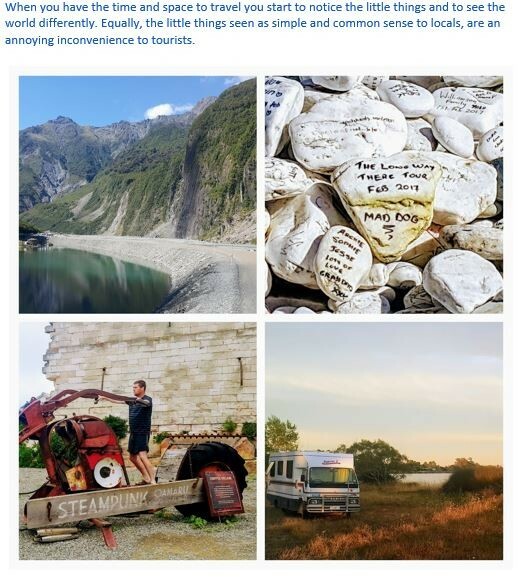 The journey was one that we had been looking forward to for some time – driving a campervan from Queenstown to Christchurch and back over three days. We planned to go up the west coast of the South Island and back down the east coast. We stocked up on food, the chilly bin was full, we had tickets to see Bruce Springsteen, and the kids were at home with Nana and Grandad. All the ingredients for a legendary road trip! Having the capacity for introspection is a distinctly human trait; having the time to indulge it is a benefit of our modern society. It is the cheap and reliable access to potable water, food and shelter that allows us time to focus our daily efforts away from the maintenance of a hand-to-mouth existence. More people than ever are increasingly free to undertake their own pursuit of self-actualisation. We have the audacious engineers of the past to thank for this; those who challenged the status quo and chose to pursue a higher standard of living. It is our infrastructure that provides us a consistent quality of life far beyond that of our predecessors. So, as public works engineers, how often do we re-visit this purpose? 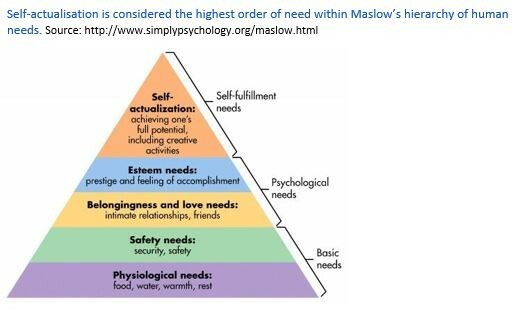 Do we need to see ourselves as providing society the time and capacity to pursue a higher order of need as described by Maslow? And what has the pursuit of self-actualisation got to do with touring around the South Island in a campervan? It’s a big shift in perspective but at that moment, all of my physiological and psychological needs (and a few more luxuries), were within that campervan and it was highly mobile. I was free to be spontaneous in thought and in action. But when you are trying to find a place to stop for the night, have no mobile phone reception and are regularly being told in words and actions that you are not welcome, your existence is once again taken up with meeting the basic needs of life. Over three days, I became increasingly disappointed at how poorly we are supplying the basic needs of our tourists. Compared to those audacious engineers of the past, our efforts seem suddenly focused on removing or ignoring the problem rather than seeking innovative solutions to make the most of the opportunities at hand. As tourist numbers increase at a record pace, it seems we are experiencing a paradigm paralysis in our service delivery. What is paradigm paralysis? A paradigm is a set of shared assumptions or way of thinking that defines how we perceive the world. Paradigms are very helpful for engineers, because they enable us to collectively understand how the world works and what needs to be done. But when issues fall outside our set of assumptions, and until a paradigm shift occurs, we are in a state of paradigm paralysis. A famous example was the fast-held belief that Cholera was spread through ‘miasma’ (the odour of human waste). It took a civil engineer, Sir Joseph William Bazalgette, many years to convince politicians and the medical fraternity that it was contaminated drinking water causing the spread of Cholera. The ensuing sewerage system he built eventually eliminated Cholera from London and saved tens of thousands of lives. 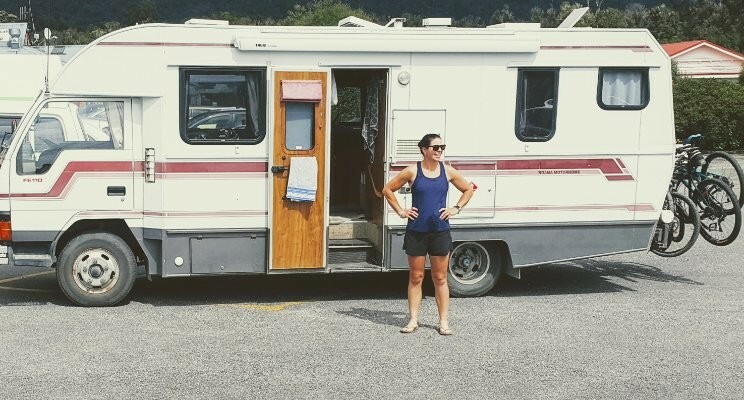 During my trip, I came to appreciate that many free and independent tourists travelling through New Zealand in campervans (self-contained or not) are simply on their own pursuit of self-actualisation. It is the promise of having a truly individual and unique experience that draws them to New Zealand. They do not come here to deliberately make a mess of the pristine environment, nor do they come here to be killed or kill others on the road. They are operating within their own paradigm of reality, and I’m sure it comes as a shock when their paradigm and those of residents rub against each other creating tension and conflict. Unless addressed in a way that appeases both sets of assumptions of the world, we will forever be seen to be failing in each other’s eyes. On our road trip, my whanau and I had plenty of free time between sandfly attacks to ponder these concepts. We were tourists in a campervan yet brought our overarching New Zealand perspective along for the ride. So we had the benefit of operating within both paradigms at the same time. We could see both sides quite clearly. Define a simple and consistent level of service for campervan facilities throughout NZ. We drove through over eleven different council boundaries and we noticed a variance in facilities and attitudes towards campervans. For instance, in Christchurch whilst attempting to find a park for the concert, we experienced parking lots manned by security guards, sending us on our way in fear we were going to camp there overnight. We had no intention of staying the night in Christchurch after the concert so found it very annoying to be treated as a public nuisance. In contrast, whilst in Lumsden, we encountered a lovely local man whom directed us to the freedom camping facilities that the locals had built in response to the influx of visitors. Lift the quality and number of rest areas along key routes and actively market them through better mobile reception. For a campervan tourist, the road is not just functional, it is the destination. Sell an ‘all you can use’ monthly access pass to these tourist facilities. There is nothing more annoying than forking out money for questionable facilities, let alone at a price that seems absurd. Sell the pass at the point of major outlay, i.e. when purchasing airline tickets or booking/collecting a campervan. Much like when you purchased that European rail pass on your OE – the feeling of travelling for ‘free’ represented good value when all you had was a backpack. Use this new revenue to create a contestable fund for communities to invest in tourist infrastructure. If it is allocated on the volume of campervans for instance, then the incentives shift to one of welcoming campervans, as opposed to running them out of town. The key message I want to get across is not a focus on the suggestions above, but the way in which we came up with them. We don’t need government approval, nor a centralised body to do these things for our own regions. As public works engineers, there are no barriers, other than those we have created ourselves, for us to be pursuing solutions for our communities. It is up to us to follow in the footsteps of our country’s pioneering engineers and push the next paradigm shift.